for $650,000 with 4 bedrooms and 2 full baths, 1 three quarter bath, 1 half bath. This 4,111 square foot home was built in 1996 on a lot size of 0.47 Acre(s). 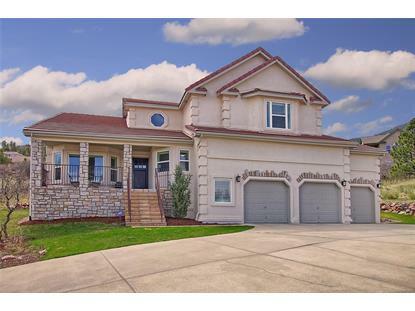 Prepare to fall in love with this gorgeous custom Peregrine home! Perfectly situated on a quiet cul de sac with amazing views of the mountains and city. You will be impressed by the high quality upgrades such as Norman shutters, completely remodeled kitchen with high end stainless steel appliances, slab granite and copper farmhouse sink, newer windows, newer exterior paint, Nest thermostat, custom baseboard, trim and door casements, remote controlled fireplaces, hardwood floors and more. Choose to either relax on the front covered deck and enjoy the city views or on the back patio which offers great privacy and mountain views. Admire Blodgett Peak right outside your back door! Located on almost an 1/2 acre lot and close to hiking trails, parks, shopping and D20 schools. Low maintenance tile roof, upgraded door hardware, upgraded lighting and a new 75 gallon water heater are a few of the extra features. Pride in ownership shows from the time you walk in the front door. Welcome home!